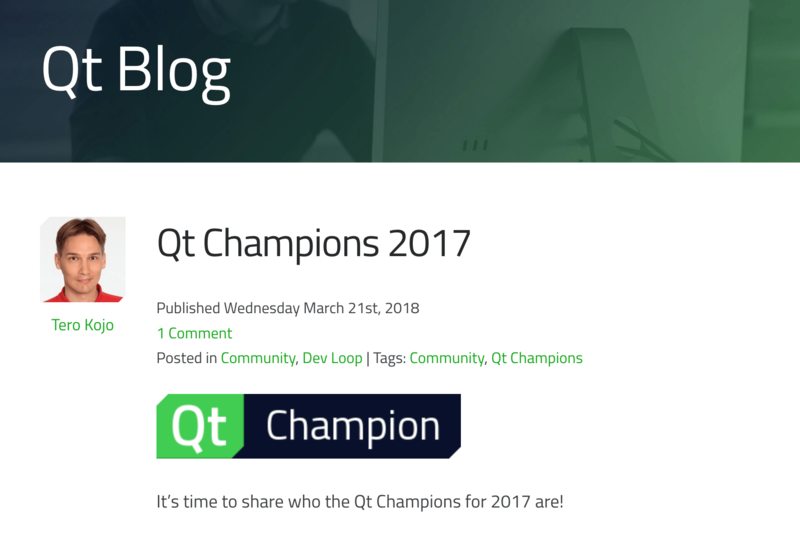 Hong Kong open source developer Ben Lau won Qt Champions 2017 – Maverick Of The Year. Congratulations to Ben! Ben also won the same award from Qt in 2016. Maverick of The Year is awarded to developers who has made a significant impact on the Qt project. 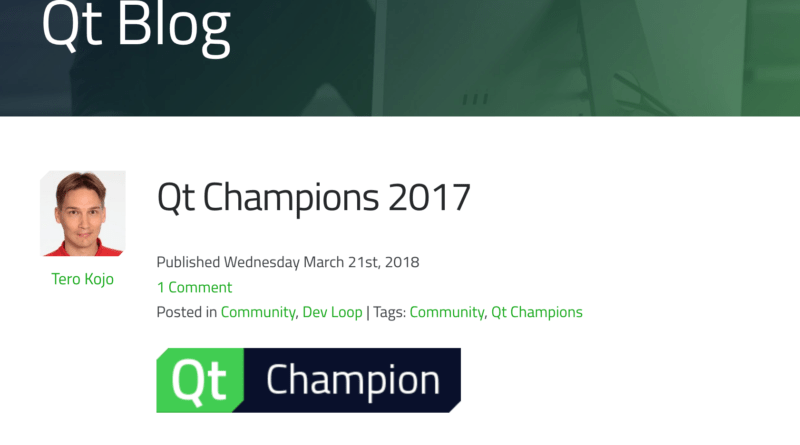 In Qt community, Ben provides numerous helper libraries covering interesting aspects like promises handling for QML and C++, custom Android components and more. Ben Lau is the author of QuickFlux (A Flux implementation) / QuickPromise (Promise in QML) and many others nest Qt library available on Github and QPM. Ben Lau is also our speaker of Hong Kong Open Source Conference 2018 (HKOSCon) in June, he will present “Using Web Software Architecture in Traditional Desktop App Development – How Flux/Redux was ported to Qt/QML”.